Three of the four Bumblebee Camaros ( From left to right Lots #3009.3, #3009, and #3009.1) being brought to the 2019 Scottsdale Auction by Chevrolet, being sold as a group to benefit Operation Homefront. SCOTTSDALE, Ariz. – Jan 3, 2019 – Founded on the principle of helping people in need, Barrett-Jackson will continue its 48-year tradition of supporting charity with the sale of 14 vehicles during its 48th Annual Scottsdale Auction, January 12-20, 2019, at WestWorld of Scottsdale. Award-winning actor and advocate of America’s military veterans, Gary Sinise, will be on the block when a 1981 Jeep CJ7 (Lot #3005) crosses on Friday, January 18th to benefit the Gary Sinise Foundation. The world’s top automotive brands ? including Chevrolet, Ford and Toyota ? as well as NASCAR racing legends Jeff Gordon, Rusty Wallace and David Ragan, have also generously donated vehicles that will support our nation’s military veterans, medical research and other global projects that enrich the lives of countless individuals. 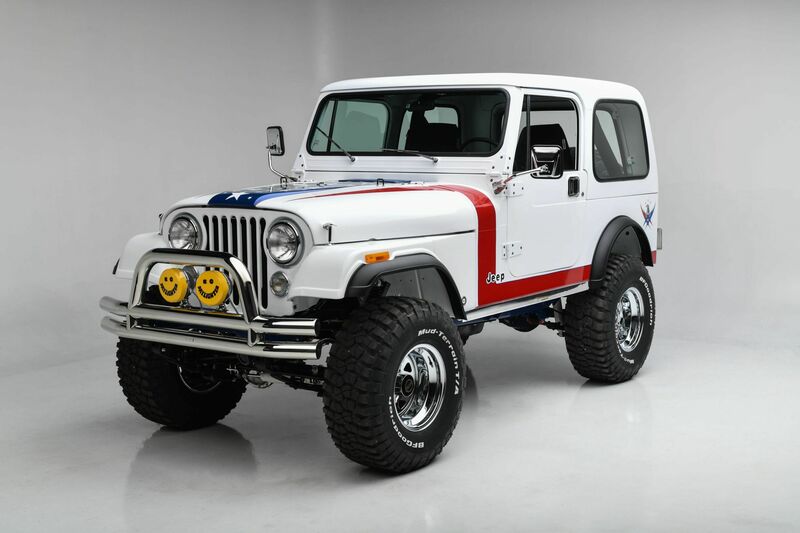 Emmy and Golden Globe Award winner Gary Sinise will be on the block to encourage bidding on a 1981 custom Jeep CJ7 (Lot #3005). The custom Jeep was built in collaboration with the Gary Sinise Foundation and Sunbelt Rentals for a future episode of Discovery Channel’s “Fast N Loud.” Custom-built by Richard Rawlings along with his Gas Monkey Garage team and dressed in a custom paint scheme to honor all the branches of the United States military, the Jeep will benefit the Gary Sinise Foundation, which honors U.S. defenders, veterans, first responders, their families and others in need. Chevrolet will offer four “one-of-a-kind” Bumblebee Camaros as seen in the “Transformers” movies ? the original Camaro Bumblebee (Lot #3009) as seen in the first “Transformers” in 2007 and then modified for the follow-up movie, “Transformers: Revenge of the Fallen;” the 2010 Camaro (Lot #3009.1) as seen in “Transformers: Dark of the Moon;” the 2013 Camaro (Lot #3009.2) as seen in “Transformers: Age of Extinction;” and the 2016 Camaro (Lot #3009.3) as seen in “Transformers: The Last Knight.” The entire hammer price from the sale of these four Camaros – which will sell together as a group – will benefit Operation Homefront, a national nonprofit whose mission is to build strong, stable, and secure military families. 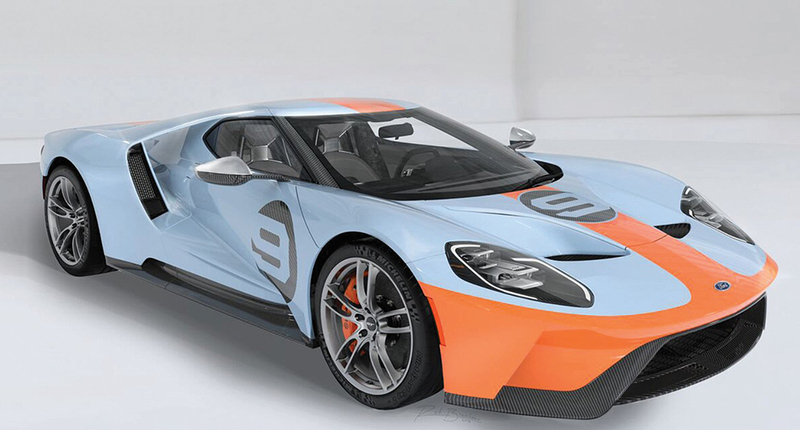 Ford Motor Company will be a part of auctioning two rare VIN 001 vehicles for charity, including the 2019 “Gulf” Heritage Edition Ford GT (Lot #3012) to benefit United Way for Southeastern Michigan. Featuring the same famous baby-blue-and-orange scheme worn by the Ford GT-40 that took down Ferrari 50 years ago, the package will also include the No. 9 graphics on the hood and doors, as well as a ghosted image on the interior door panels. After its much-anticipated unveil during the North American International Auto Show, the rights to the 2020 Ford Mustang Shelby GT500 VIN 001 (Lot #3008) will also be sold in Scottsdale with 100 percent of the hammer price benefiting JDRF. Among the most anticipated vehicles crossing the block to support charity is the first production 2020 Toyota Supra, VIN 20201 (Lot #3010). A build unlike any other in the world, VIN 20201 will be factory-finished with a matte gray exterior, red mirror caps and matte black wheels. The entire hammer price from the sale of the Supra will raise funds and awareness for the American Heart Association and the Bob Woodruff Foundation, which provides help for post 9/11 impacted veterans and their families. 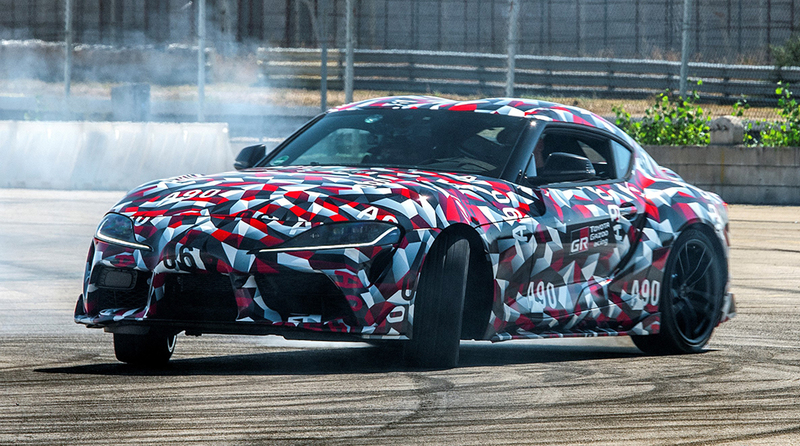 Medal of Honor recipient Dakota Meyer will be on the block to support the sale of the Supra. The 2019 Scottsdale Auction Docket is now available to view online. Click here to consign a vehicle or visit Barrett-Jackson.com/Bid for information on becoming a bidder. Advance tickets, nine-day ticket packages and information on VIP Packages are available at Barrett-Jackson.com. Also, follow Barrett-Jackson on Facebook, Instagram, LinkedIn and Twitter for the latest news and information heading into the 2019 Scottsdale Auction.